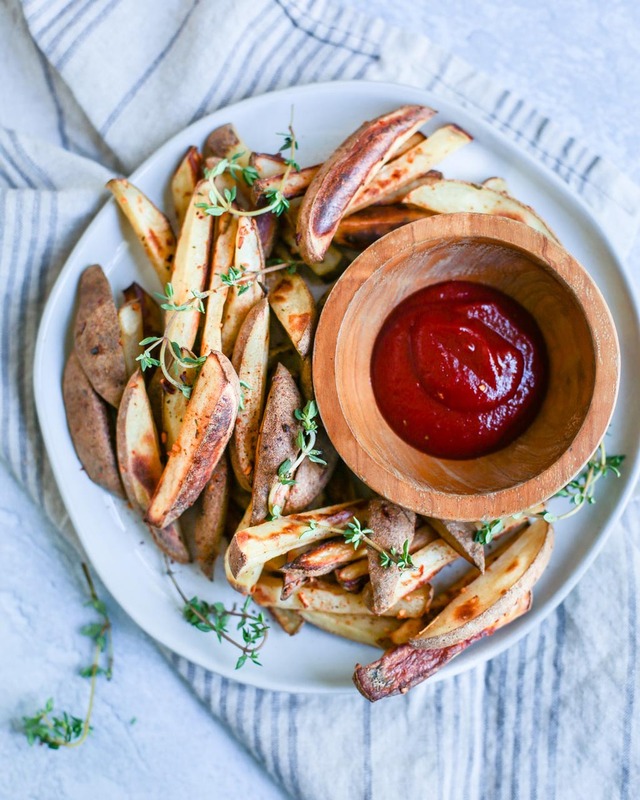 If you love french fries as much as I do, you will want to make this recipe, if only to have a guilt free option for when you crave them! Rancid and chemical laden oils are so unhealthy-they can contribute to inflammation and even have been found to be carcinogenic when heated to high temperatures. 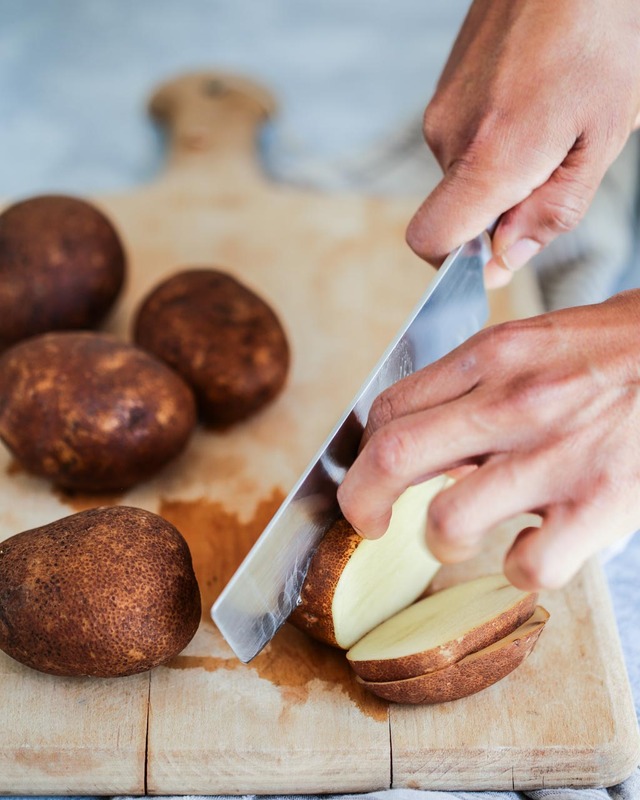 This recipe is surprisingly simple and doesn’t even require that the potatoes get flipped during the coking process. Even without oil they brown perfectly on both sides and are quite crispy. Eat them fast, as they tend to get soft as they cool, even though they are still delicious! 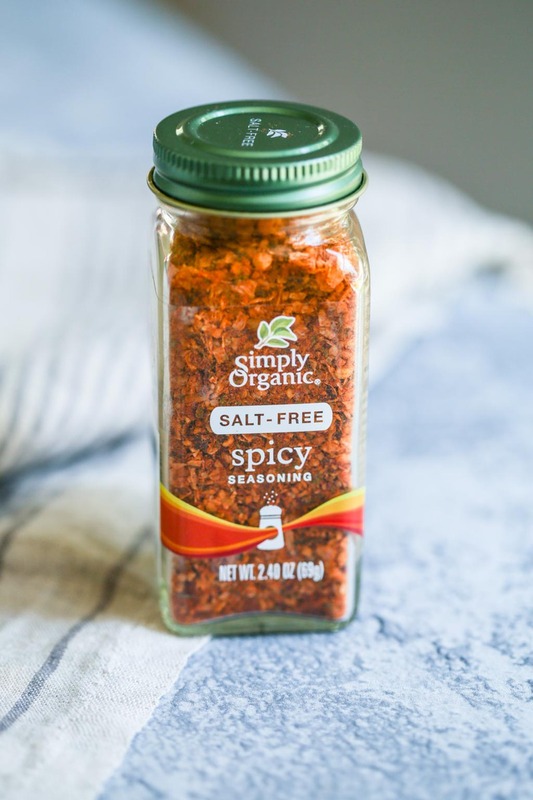 This recipe can be made using salt and pepper, but this time I used a salt-free spicy seasoning from Frontier. It was amazing! I honestly didn’t miss the salt at all, and that’s saying a lot! I have pictured it below. 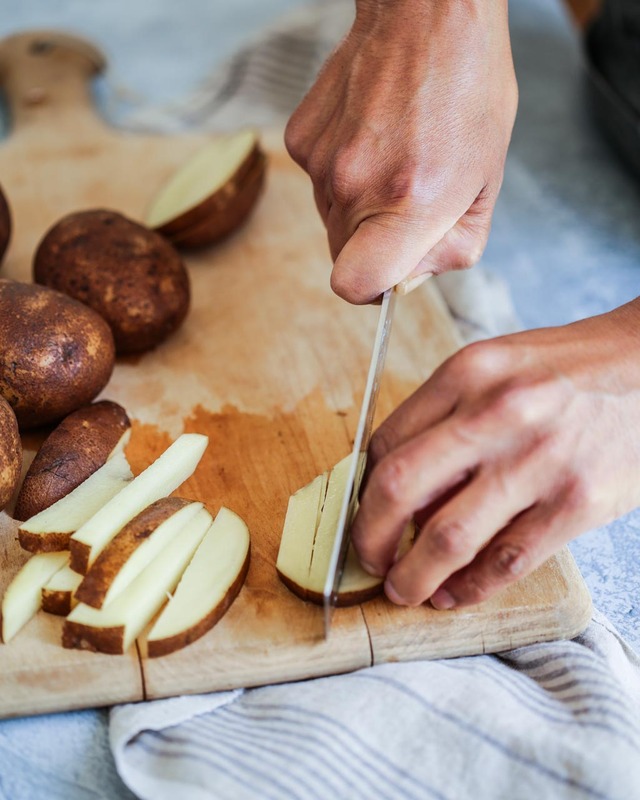 One quick tip: cut them as evenly as you can to get the best results! They will cook more consistently that way. 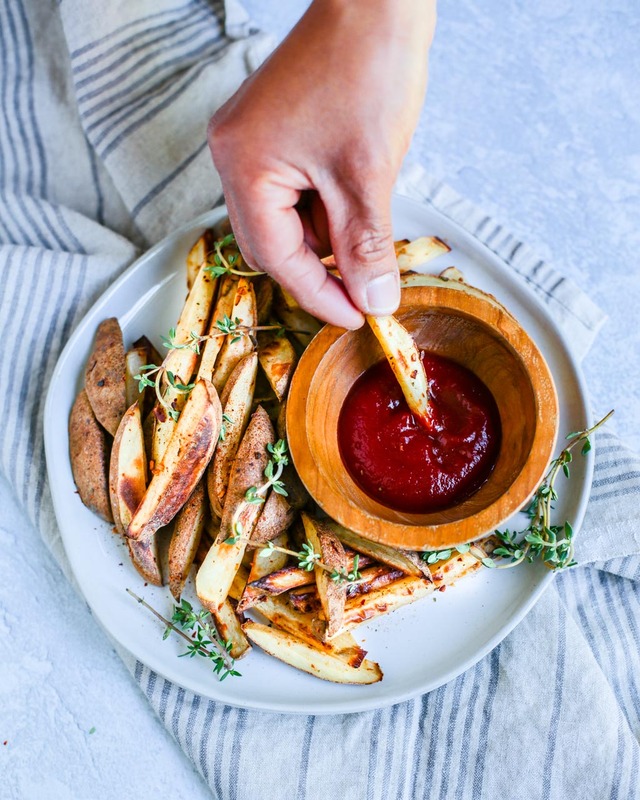 Crispy and perfectly guilt-free, spicy oven baked fries are so easy to make and are a perfect alternative to traditional oil clogged fries. Wash and scrub the potatoes. Peel if you’d like, but i make them with the peel on. Slice into ½” thick slices. 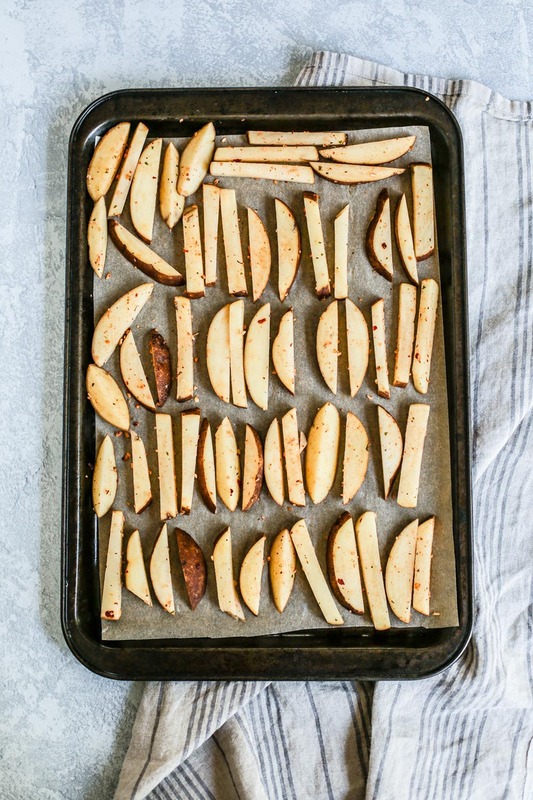 Cut the slabs into ½” wide french fry shapes. 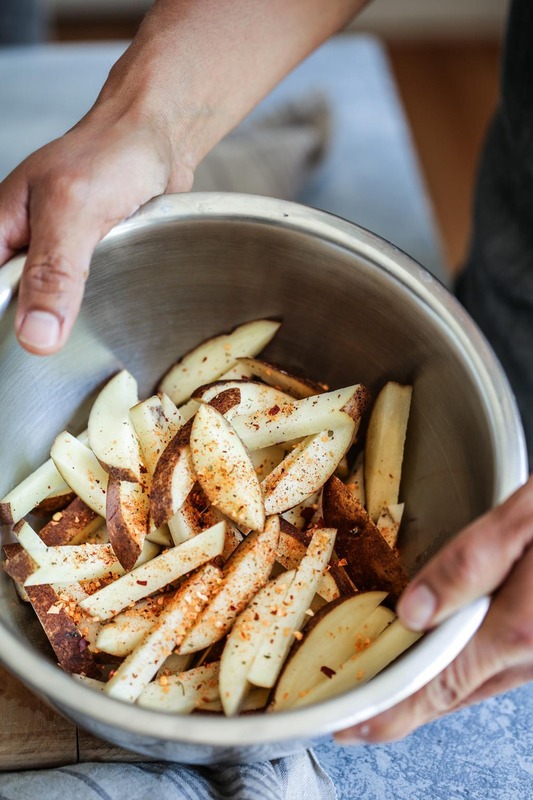 Place the french fries in a medium mixing bowl and toss with salt and pepper, or other seasonings that you want. I used a salt free Spicy Seasoning from Frontier Herbs and Spices. 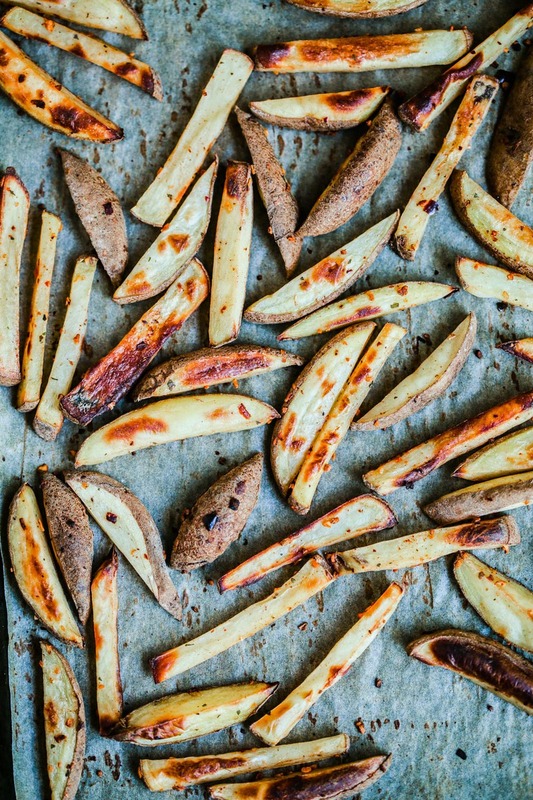 Line a sheet pan with parchment paper and arrange the seasoned potato slices on the pan. Try not to crowd them on the pan-the fries should not be stacked on one another or they won’t get crispy. Place the sheet pan into the oven on the middle rack and bake for 25-30 minutes.